Another heart pounding, nail biting story that had me breathless til the end. AH! 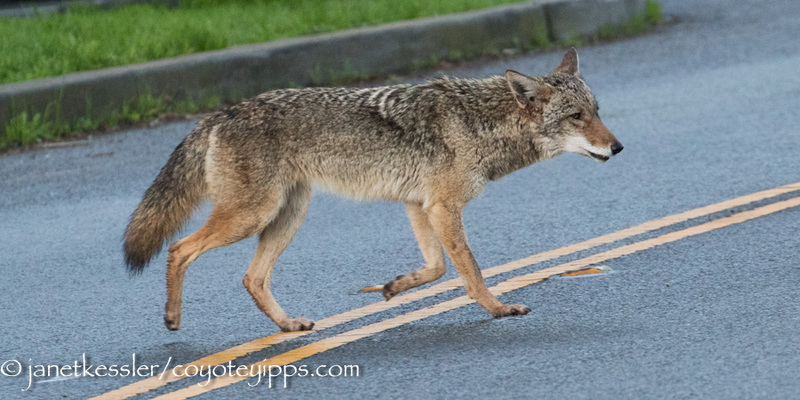 I love these coyotes so much! When you tell your stories and offer the photos/video I am right there. 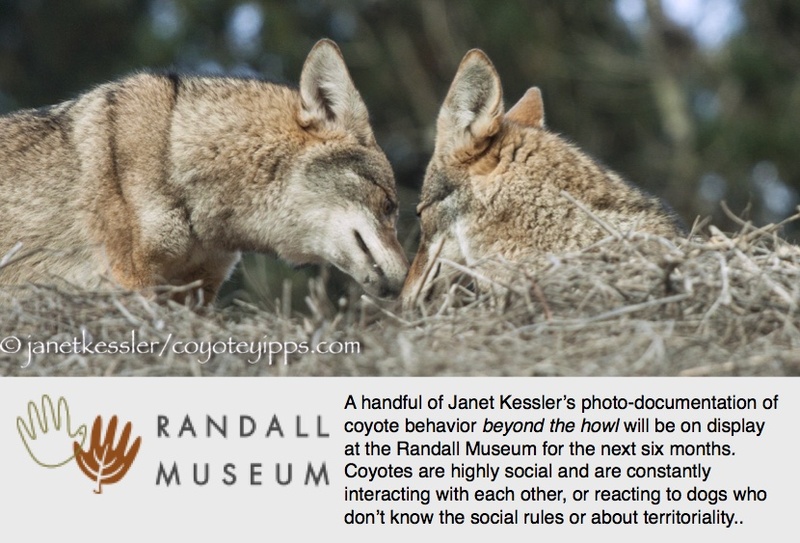 I am every coyote. This is what it means to be alive, on the edge and fully present with what is…..as hard as it can be sometimes to feel their agony, loss and pain – so much better than being numb. Can I say it again? 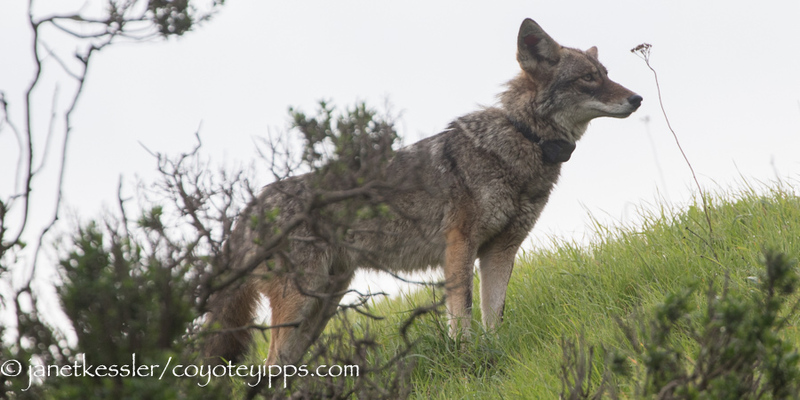 I love these coyotes so much and feel them deeply. Thank you Janet for creating lines of deep connection to my heart. I wait for your weekly posts, and find myself totally drawn into their world. While I avidly follow our backyard coyotes, I am not there hours at a time. 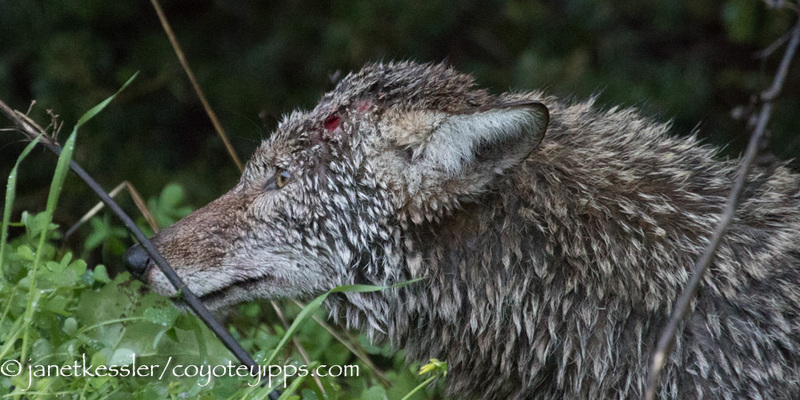 You and your coyotes have taught me so much. I can hardly wait for another episode. You have made me so aware of how rich their lives really are. When they choose to reveal themselves to me, I am so grateful to them and you. 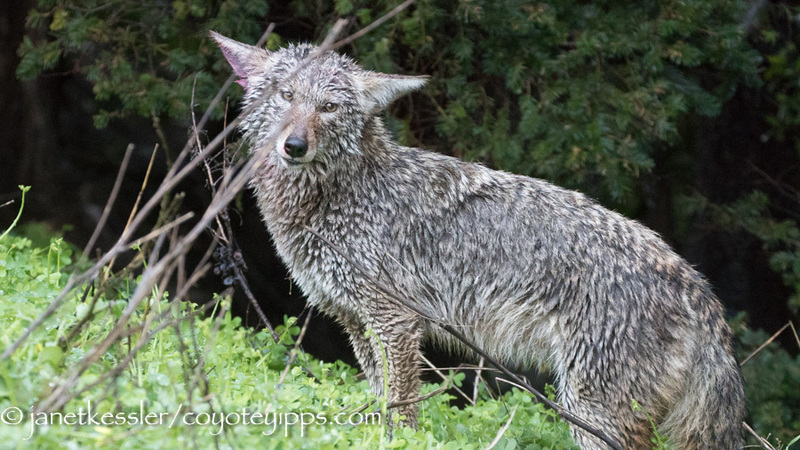 I have seen two Coyotes recently in Mesa Arizona. Scott — I hope you were able to appreciate them on some level?! Hi Janet! I’m wondering if you have seen this girl since your last past? How is her injury? The thing I can’t stop thinking about is her inability to shake off the water! I know she got a reprieve with no rain the past couple days – but more rain is coming. Sorry! I just keep thinking about her…..
Hi Cindie — I saw her fleetingly 2 days after the altercation: although her face was all swollen, she had dried out: see 2nd to the last photo of the post.